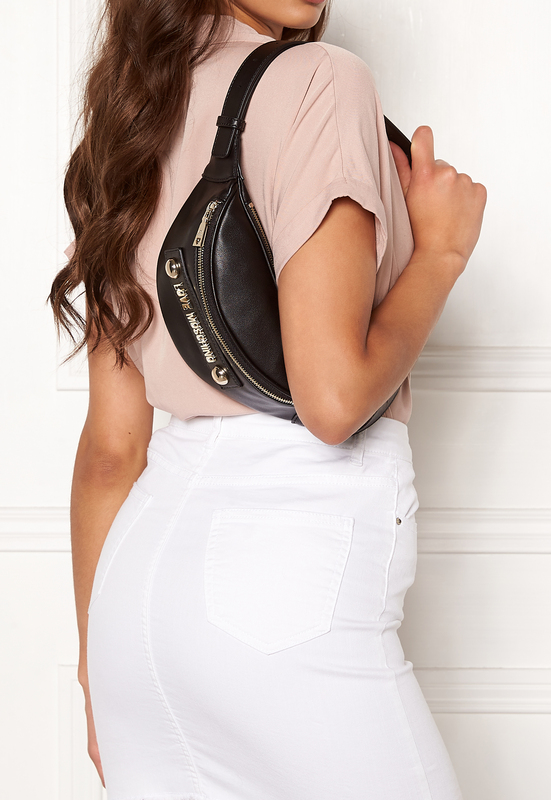 Stylish fanny bag with a trendy design from LOVE MOSCHINO. The bag features the brand logo on the front. - Zippered compartments both front and back - Spacious compartment with cardholder - Adjustable and detachable waistband - Scarf included - Dustbag included Length 23 cm, width 9 cm, height 9 cm, length of waistband 82 cm. For returns to be accepted, the bag must be undamaged and returned with the original dustbag.